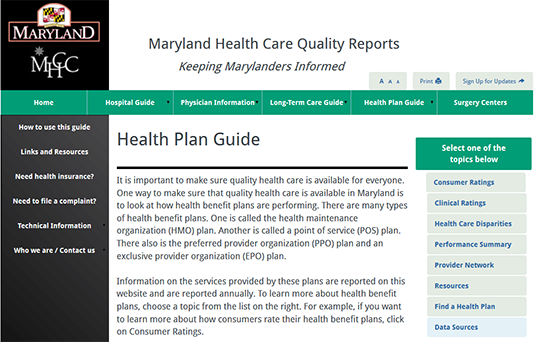 The Health Plan Guide covers 47 general hospitals in Maryland providing acute care. The guide provides information on a health plan’s performance in relation quality and patient experience. The report also includes helpful information on five chronic diseases that lead to increased health care costs and valuable information on accessing various consumer resources.